In the big scheme of things, emissions testing on used automobiles may seem like a very minimal requirement. All residents should gladly do it right? Many states do not require it of automobile owners. The State of Connecticut does. There are a lot of rules and requirements to it as well. It's not as simple as some may think. I hope this article provides a better understanding of what's involved in emissions. Having a basic knowledge of emissions is crucial to buying a used car in Connecticut. Know about emissions before buying a used car. My experience buying a used vehicle. In November 2011, we purchased a used automobile from an auto mechanic that also sells used cars. He is a licensed Connecticut dealer. We were told that the vehicle had to be registered, and that his dealership would get the emissions testing done because it was due. Within a few days, the vehicle was ours. We drove home happily in our new-to-us ride. The check engine light was on the entire way home. The next day we called to complain because we had bought the vehicle with a used vehicle warranty. It was not sold as is. The dealership was really thorough about how they fixed it for us for free. Then two more times within the warranty period, the check engine light came on and both times the dealership fixed the problems. Finally, when the warranty expired, the check engine light came on again so we took it back to the dealership. They charged us over $600 for repairs. They claimed the entire engine had to be taken apart and put back together and we got a great deal for the time they put in it. All the while claiming they did this for us as a favor and would have charged us a great deal more if we hadn't been a customer of their dealership. 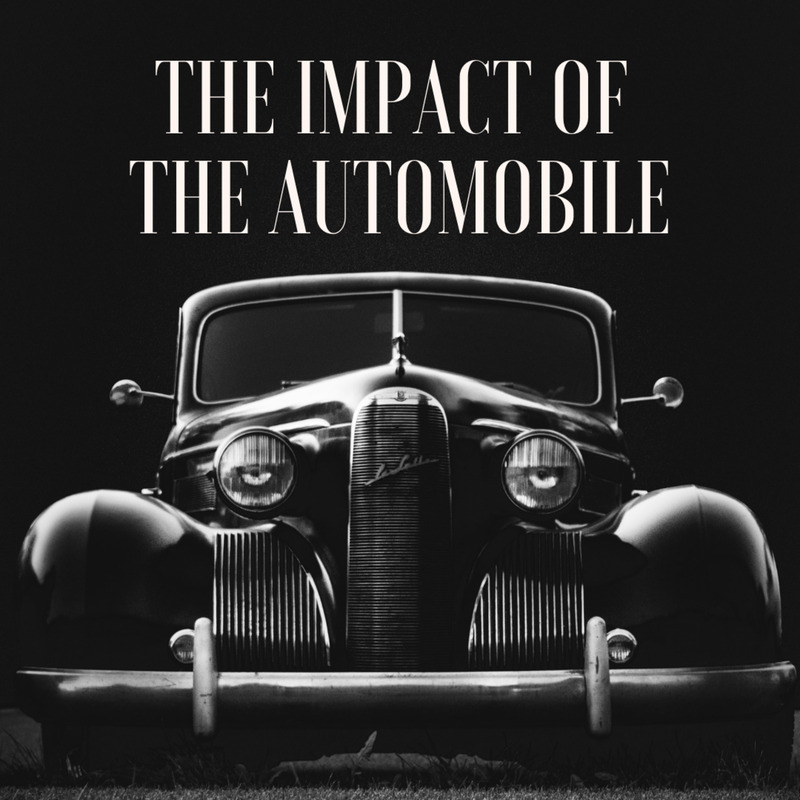 Then, while traveling on a Connecticut highway in the vehicle with my children and dog, the van started smoking from under the front hood. I pulled over on the side of the highway and called 911. There was smoke coming out from the bottom of the van by now too. My family ran over to a grassy embankment and sat down to wait for help. Pretty soon a state police officer saw us stranded and came to help. But to my dismay, he told me to get back in the vehicle and start driving. My children were very reluctant. I explained to the officer that the van looked like it was going to catch on fire. The officer told me that he didn't see anything wrong and to just start driving. We drove about one-quarter of a mile and the van started pouring out smoke. I couldn't see to drive. All I did see were the flashing lights behind me of the state police officer's car and the officer summoning me to pull over again. I stopped immediately and he told me to go to the nearest exit where we waited for a towing company in a large parking lot. At the repair service facility, we were told, wherever we had work done on the vehicle prior to that, they forgot to put a bolt back and it caused parts and fluids to come out of the vehicle. That was what had caused the problem. But the new bill was almost $800 for more work done to the vehicle. For the past two years, the vehicle has been running smoothly. Then just two months ago, the check engine light came back on. We took it to two different repair facilities to get a quote. The first facility said they could not determine why the light was on. The second facility told us that it was a oxygen sensor. We received a letter from the Connecticut Department of Motor Vehicles claiming the registration is due at the end of November, but we must go through emissions first. Our vehicle failed emissions. We were told to take it to a certified specialist to get repairs and then bring it back through emissions. Within a couple of days however, we received a notice from the Connecticut Department of Emissions explaining that we owe a late fee for noncompliance of emissions. I called the number on the form to protest explaining we never received a notice other than the registration renewal which was not overdue. We were told that the emissions was overdue on the vehicle. In fact, it's so overdue that the vehicle hasn't been through emissions since 2009. This means that the dealer where we bought the vehicle never put it through emissions. How then could the State of Connecticut register the vehicle at all if emissions were not compliant? Upon asking this question of the Emission Department, I was told that they have a law in the Connecticut State Statutes which addresses this, but there is no consequence or penalty for not complying. In other words, it's not ok for a dealer to register a car that has not passed emissions. But there are no repercussions for registering a car that has not passed emissions. In fact, the penalty falls to the owner. That would be me. Ozone pollution is invisible. Connecticut ozone pollution exceeds federal health standards, especially in summer. The Clean Air Act, a Federal law, gives the Environmental Protection Agency responsibility for regulating emission control requirements on vehicles. The Act is overseen by each individual state. Emission control systems do not always perform as well over the full useful life of the vehicle due to aging. Emissions testing uses a diagnostic system test is the quickest and most efficient of all emissions tests. 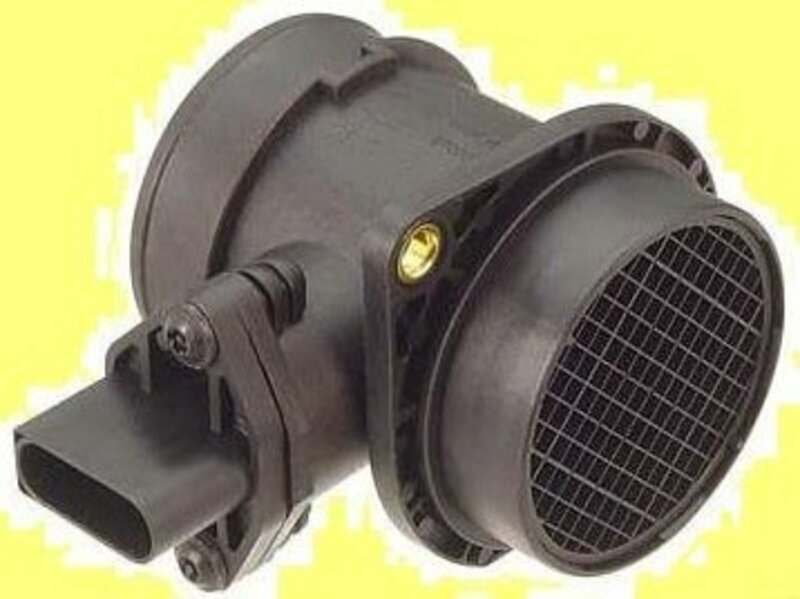 The test alerts the owner to any repairs that can reduce air pollution. The test is performed by an inspector. An emissions testing cable is connected to the vehicle’s Diagnostic Link Connector. The test abstracts specific protocols from the vehicle, allowing the testing equipment to verify whether or not emissions is in compliance. 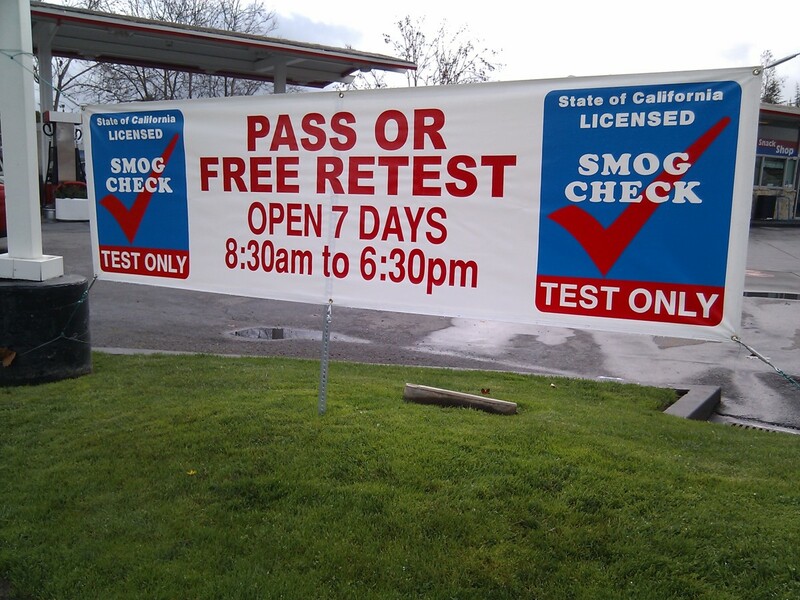 What is an Emissions Test Center? A vehicle is tested at privately owned automotive service centers throughout Connecticut. Each location offers a sign outside of their building with a Test Center number. They are also required to provide a designated emissions testing parking and waiting area where you can view the test and information. At any of the test locations, usually you can just show up without an appointment. It's best to call to find out business hours and to make an appointment if you can't wait. Most people will need to go to a Full Service Test Center where emissions can be performed on any vehicle regardless of fuel type or model year. (An OBD Plus Test Center performs emissions except on 1996 or older diesel powered vehicles or vehicles newer than 1997 with a gross weight of 8501 pounds. Also, if your vehicle is oversized, consider calling a test facility first to make sure they are able to accommodate you. Midas, Firestone, and Pep Boys are examples of chain retailers that provide emissions testing. For a complete list, view the Connecticut emissions website. What if the vehicle fails emissions? A vehicle might fail emissions testing if it's exceeding emissions standards for the year it was manufactured. Vehicles need to be repaired and retested within sixty days from the date of the initial test. If the registration date falls within this sixty days, emissions must pass before the automobile may be registered. This is a situation for somewhere there aren't sixty days available because the registration date is almost come to pass. 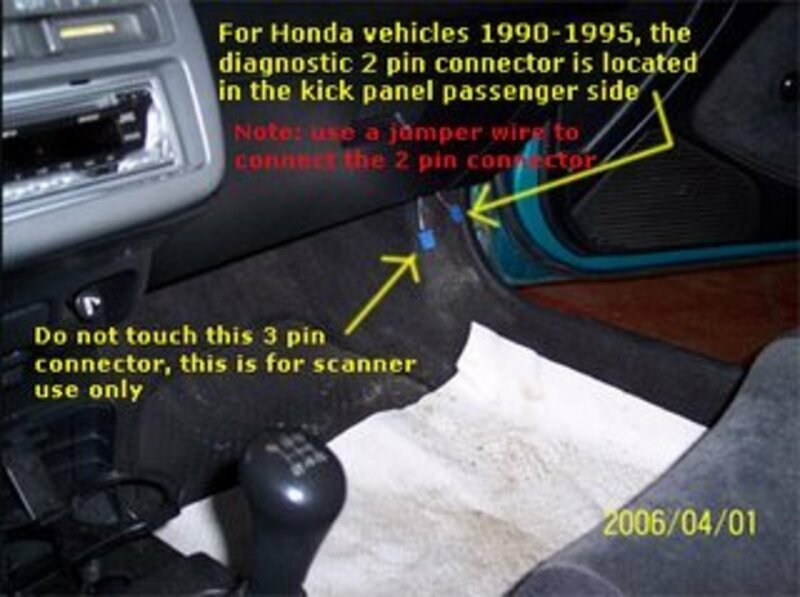 A vehicle will not pass emissions if it is displaying a Check Engine Light in the console. This must be addressed before going to emissions. Fees associated with Connecticut emissions. Emissions testing is required in Connecticut every two years for the most part. There are exceptions contrary to the rule. Most people with an automobile will be subjected to this emissions testing. The fee is $20. If the deadline has passed to go through emissions testing, there is an additional $20 late fee. When someone fails emissions testing, they do not have to pay for a second test once the vehicle has been repaired and re-tested. Do you think emissions testing actually helps? Yes, I think it helps the environment. No, I think it's pointless and just another way for states to get money. Do automobile emissions have anything to do with cancer? I thought it would be interesting to find out what the cancer statistics are for Connecticut. One of the arguments for pro-emissions is that it decreases cancer rates. According to the American Cancer Society, in 2013, Connecticut had 21,180 new cancer cases. Oregon, a much larger state, had about the same with 21,720, and Oklahoma had 20,160. Based on the statistical map I downloaded and researched, there doesn't seem to be a correlation between a decrease in cancer and emissions testing on vehicles. According to the EPA, they believe the emissions programs have helped reduce the amount of cancer and other health problems related to pollution. In fact, the EPA believes that reducing ozone pollution reduces the incidents of asthma and bronchitis. According to the CDC, the number of people diagnosed with asthma is growing every year though. Even the CDC admits, they do not know why asthma rates are rising! Map showing asthma statistics in the United States. This map shows that there is more research needed to conclude precisely whether or not emissions testing actually reduces asthma incidents. Connecticut is one of the states with the highest incident of asthma sufferers. What happens if the cost is too much for repairs to make my vehicle emissions compliant? Currently, in 2013, the minimum emissions repair expense to be eligible for a cost waiver is $840.00. That would include costs for actual repairs made to the vehicle by a certified emissions repair technician. Estimates are not eligible. Also, an automobile owner may apply for a diagnostic waiver if diagnostics fail to provide evidence to suggest emissions repairs are needed. Keep all receipts as proof of expenses. What documents will a person receive after going through the emissions process? After bringing an automobile to an emissions test center, and passing emissions, the owner of the vehicle will receive a Vehicle Inspection Report. If the vehicle fails emissions, the owner will receive an Emissions Repair Form, a brochure, and a list of certified repair centers. How to file a complaint against a car dealer or repair facility. First of all, you cannot speak to a person over the phone. All complaints have to be filed in writing. You need Consumer Complaint Form K-35. It's found online. Print out two copies, complete them both and sign them. Also make a copy for your own records. You must include copies of all paperwork related to your complaint such as warranty, invoice, repair bill, etc. Do not send the originals, copies only. Include a telephone number where you can be reached between 8 a.m. and 4:30 p.m. Include your email if you have one. The other copy gets sent to the dealer or repair facility that the complaint is about. If a customer is awarded a court judgment, DMV may be able to assist in obtaining restitution by holding a hearing to invoke the licensee's surety bond. Facts about vehicles on Connecticut roads. There are $2.8 million registered vehicles in Connecticut. Nevertheless, there are tens of thousands of visitors from other states (that do not require emissions testing) to Connecticut for one reason or another, whether it be to go on a nature hike, visit an aquarium, or plan a trip to a casino. While I understand the mission of EPA to reduce levels of pollution, it makes little sense why some states have the emissions rules and some don't! After all, many cars from many different neighboring states that travel through Connecticut daily do not have any emissions testing at all. That's quite unfair considering Connecticut brings a large amount of visitors and tourists in to this area by automobile on Interstate I-95 because we have Mohegan Sun and Foxwoods Casinos. So to make Connecticut residents put up, pay for, and deal with emissions is essentially penalizing the residents for polluting our own state. When other travelers are not required to ensure their cars are not bringing pollutants in to our state. And, also, the amount of tourists we get here, are not necessarily held to the same emissions standards either because it goes by the state of registration. That brings me to the wondering exactly how many cars in Connecticut are noncompliant with emissions? And out of those cars, are the owners residents or visitors? We will never know. The only automobile owners penalized are those that register their cars in Connecticut. Also, as I've shown, statistics do not really support the need for emissions testing based on cancer rates. Even with emissions rules and regulations here, we have just as many cancer patients or more than states that do not have emissions. As far as asthma issues, those seem to be growing annually without a specific cause. In the state of Connecticut, there are two locations for inspections when they are performed at the DMV, Wethersfield and Hamden. These inspections are conducted Monday through Friday at Wethersfield and Tuesday through Friday at Hamden. On Mondays at Wethersfield, the office is closed therefore inspection documents must be prepaid. The final inspection must be in line by 3:15 in order for it to be completed on that day. Camp vehicles – these are inspected free of charge at the DMV annually through the inspection lane. You will be required to obtain the inspection form from the Department of Public Health before the inspection can take place. Commercial vehicles – if these vehicles are over 18,000 pounds, are GVWR and commercial trailers over 10,000 pounds, or GVWR seeking temporary registration, these vehicles will be inspected at DMV facility in accordance to the North American Standard Level I Inspection. Temporary registrations that are more than 10 days will not be provided unless the vehicle passes inspection. Driver education vehicles – these vehicles are required to have a yearly inspection at the DMV inspection lane. School transportation vehicles that are under 10,000 pounds GVWR – these may be brought to the inspection lane or scheduled by the inspector in the district. Taxi – You will only be able to receive a first time taxi inspection at the DMV. These vehicles will be required to have all lights and meters. 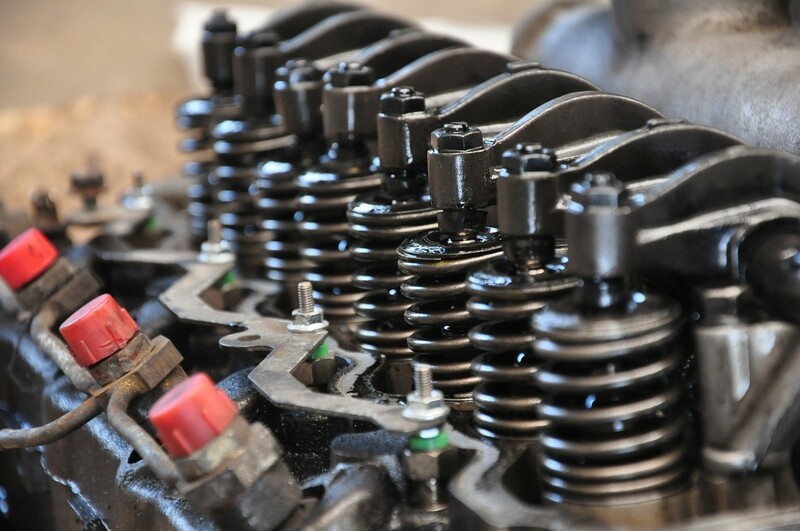 For renewals testing, the test must be completed through a Connecticut licensed dealer repairer who will only be able to charge a maximum fee of $20 for the inspection. Vehicle identification number assignments – these can only be performed at Wethersfield and you should call to make an appointment for a car or truck. Trailer VIN assignments, however, do not require appointments, but can only be brought in Monday through Friday from 8 am to 3 pm. If the trailer weighs over 3000 pounds there will be a $50 charge for the assigned VIN. Warning ticket – for warning tickets that have been issued by the law enforcement agency for window tint, VIN issues or a notation of ‘DMV inspection only’ has been included, your vehicle should be presented at the DMV inspection lane. For any other warnings, you vehicle must be presented to a Connecticut licensed dealer repairer for inspection. Here in Texas we have to pass the emissions test along with a general safety inspection every year in 11 of our counties. The 11 most populous counties. My vehicle is 20 years old. 4 years ago it failed the emissions test and mechanics didn't know why, but they wanted me to finance their replacing one part at a time until they got the right one, starting at $1500. So I drove it for 6 months without an inspection sticker. I talked to different people about what the problem might be. I received a warning ticket from a very courteous officer after 6 months, forcing me to do something. It had been 6 months since it failed the inspection so when I finally got another one I had to pay the full price again -- $40. Once a vehicle is 25 years old here in Texas, it doesn't have to pass the emissions test anymore. It's an antique. Prior to that time there are various exceptions one can try to get and I decided to try to get one of them because I didn't drive the car all that much. Talking to one of the guys in Austin that handles exceptions, he told me to try a particular strategy first, see if the car would pass, and if it did it, he said it would save him and me both a lot of paperwork. I took his advice and my car has passed emissions! It has passed for 4 years in a row now using that same strategy. I have my fingers crossed every time, but it's a simple procedure, and so far it's worked. I know it probably won't work forever, but for as long as it will work, I'll take it. 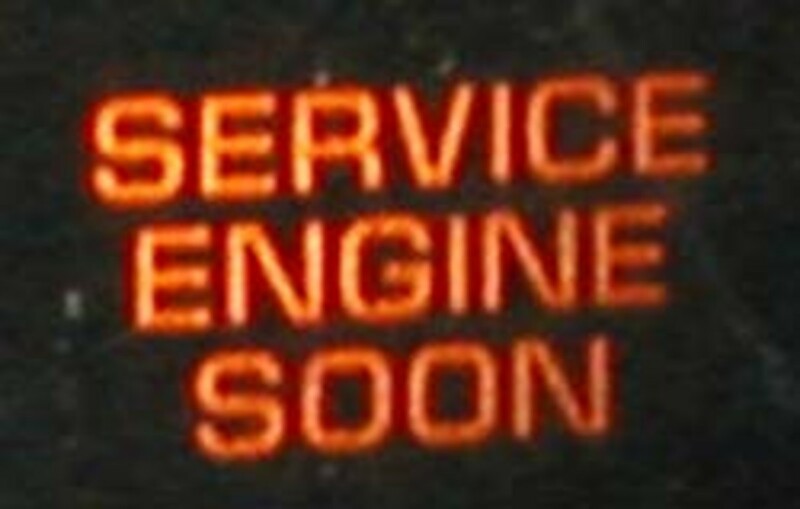 My check engine light comes on from time to time. I've been told for as long as I've had the car, 10 years now, that it doesn't mean anything. It's just old and the various indicator lights are confused. Obviously your check engine light meant business. Wonder what they did to the car to make it run decent for the first few days? Buying used cars is always a crap shoot. Crafty, this was very interesting on how Connecticut ranked for those e-mission tests every year for the car. Voted up! Congrats on HOTD! since you paid more than $840 can't you have emmissions waved? Tom, that is such good news. I'm so glad it worked out. Thanks so much for sharing your story. The car fax, revealed more than what the dealers were selling me. A mechanic friend checked things with an insurance friend of his. I was to end up paying for the rest of the years I was to have this car. Thanks for the tip Crafytothecore. That cop sounds a bit uncaring. And what a bad experience through that dealer, I would badmouth them every chance I got if it happened to me! Interesting about the cancer thing, though no one seems to know what causes it. Voted useful. Good for you, but I would still report that place to the better business bureau. See if they believe they lost the file. (They like getting reports.) I know it was not legal what they did to you and if enough people report them maybe it will make a difference sometime for someone...which could have been you if others had done it before you. Hi Jackie! Well, I called the dealer twice. They told me they had just hired new help and couldn't find the file! As it turns out, we had to pay a mechanic to make a few adjustments. We had to replace the gas cap among other things. It cost a few hundred dollars. Right before trying a second attempt at emissions, the check engine light came back on and the mechanic quoted another $2,000 to fix it. The van wasn't even worth that much. We took it to a place here this past weekend and traded it in. At least now we have a safe vehicle and a story to share so others hopefully don't get stuck like we did. Wow I don't blame you. Go to your better business bureau if the car dealership doesn't make it right! Hi Sha! LOL, the van isn't even worth the amount of repairs it will take to be emissions compliant. That's the irony in this. So stupid. I just can't figure out who comes up with this crazy stuff and why it gets through. Hi Teaches! I just took the van to a mechanic today. I found one that charges under $100 an hour which is rare. The mechanic said he thinks the emissions is ridiculous and proves nothing. He said that there are so many other problems, yet the state makes this a problem for people who have to repair cars when they work just fine. Unfortunately my van has multiple problems going on. He said it's not just one thing. But what I found out that's really interesting is that the codes that are coming up have nothing to do with emissions at all. However, the test failed because of the codes. So ridiculous. I remember having to do this when we lived in Virginia. I am not sure whether it is good for the environment or note but you have me thinking about it. Hi Kidscrafts. It just doesn't make much sense why only a small percentage of the country makes this a mandate. And the real catch is that even if the car runs fine, we still have to get these mandatory repairs just to pass emissions, or we can't drive the car/renew the registration. It's ridiculous for sure. Thanks so much for your input here. I really appreciate it. Hi Tobusiness! Yes, indeed. They certainly forgot the details on this one for sure! LOL Thanks so much for stopping by and commenting. Thanks Tom! Yes, I think it's actually Carfax, one word, as I saw the ad on tv for it again last night. That gives the entire history of the vehicle. Most dealers will provide one. Even if they don't, you can get one for about $20 online. That's not a fun story you went through with your car, Crafty! It's really frustrating when you have to pay for the lack of care of others! Typical politicians, they make laws but forget about the details. I do sympathise. This makes a good cautionary tale. LOL ! I hear clunker. Same to jalopy? Hahahaha! Car fax, I am learning so fast indeed. Thank you wetnose! It truly has been a stubborn vehicle for sure. What I learned was that the president had that cash for clunkers incentive. At the time, I had a nice truck though. 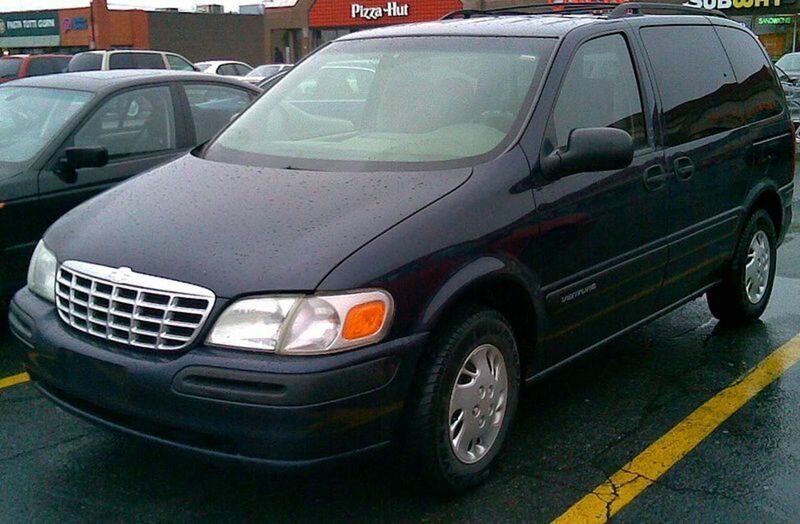 When that was recalled, I went to find a vehicle and this van was the only thing I could honestly afford. I guess it was a clunker that was turned in! LOL Oh well. Hi Tom! I hear you and I'm sure reading this makes little financial sense. LOL However, I had some really strange circumstances. I owned a truck prior to this van. The truck was recalled due to a rusted frame issue. But, I had a lot of health problems and medical bills piled up. So, because of all that, this van was the only thing affordable to me at that time. I've never owned a BMW, so I have no idea what they are worth. There are a lot of certified dealers who are honest and reputable. The important thing to remember is get the Car Fax. Don't let them talk you out of that. That will report to you all the history on the vehicle! Hi Sha! Thanks for your input here. I believe from research that NJ stopped requiring emissions in 2010. As far as the repairs go, what happened was we had a limited warranty. The first few times, they fixed the van because the engine light kept coming on. But the last time they "fixed" it, the warranty had expired. So we paid them and that's when the bolt came off. After it was towed and inspected, it had to be fixed again and the new place that fixed it told us that we could take the other dealer to court, but it would be difficult to prove the bolt wasn't just loose on its own. We didn't fight that at all because I didn't need the aggravation of going to court and all that. We just let it be. But now the problem is different. What's happened is we bought the van in Nov. So technically, by law, the dealer was supposed to put it through emissions in Nov. That means it would be due in Nov again, this year. We never got notice though. The state sends out notice a couple months in advance. So, last month we looked at the online database and we weren't listed in it at all. Then, we got a registration renewal. At the top of that, it stated that emissions was due. Great. We figured there was no problem because we had thought it was all due in November anyway. But, when we took it in for emissions, it failed. A few days later, we got the late notice saying it's late. I placed a call to the state and found out it's 4 years late. It was last done in 2009! How is that possible I asked? The state said they didn't know, but the burden falls to us. How so? The state law says that the dealer is responsible for selling the car with current emissions. They sold us the car in 2011. But the car didn't go through emissions since 2009. Therefore, how did they register it? No registration can go through without emissions! My best guess is they paid off someone at the state. I placed a call to the Attorney General. There is a paper trail and it's obvious that we were sold the car without current emissions. So, I have to wait and see what they tell me. The bad part in this situation is that the state registered a car to us that was not emissions compliant! So technically, it's the state's fault. Fighting the state is like fighting city hall! Hi DDE! Thanks so much. I was so frustrated yesterday and on top of that, I let it get in the way of everything else I had to do. Today was a better day though. I certainly hope all goes better for you. What a horrid mess you have been through. 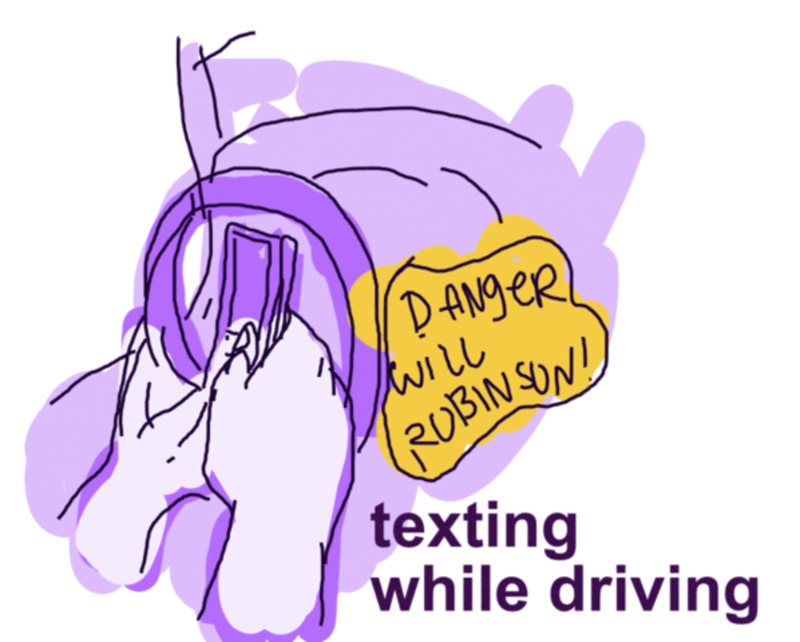 I am taking my driving lessons 'again' after orienting my mind and self to drive on the 'right hand side.' Am eyeing a second hand but new to me car of 2005. I imagine that will do. By the way, if you had bought a new car and not that one, wouldn't you have been better off? I wish I could quantify the trauma that smoke under the car engine caused twice, I read you paid USD 600 following the first 'check engine' light and another USD 800. This is not to mention the fuel ( oooops, gas) and anxiety. USD 1400 can buy another car ( in California). Do you advise me to pay for the 2005 BMW X3 model? Crafty, when I lived in Jersey (1971-1976) vehicle inspection was required annually. This included emissions testing. There were separate inspection stations for each county; the testing was performed by state workers. I see by your list that Jersey no longer requires inspections. Nor does the state of Florida, which is where I live. Judging from the table you present regarding what your DMV will and will not investigate, they are NOT at your service. The right hand column is where your issue with the dealer falls. It looks like you're going to have to fight the guy yourself. Does your latest repair bill state that a bolt was missing which is what caused your car to overheat? I worked for an oil company, The stories I could tell you. Thank you for this. My thoughts ... 1) I'd go after that car dealership so strong he would beg to make me whole for the expense and duress of driving in an unsafe, noncompliant vehicle for 2 years; 2) I'd file a complaint with the state police involving the officer who provided specific direction to perform the unsafe and expensive act of driving a smoking vehicle (with children in it, no less!) that should have been towed, not driven ANY distance; 3) I'd consider contacting a local tv station regarding consumer complaints, as they may want to do a story on knowing your rights and responsibilities; 4) I'd re-read my original sales agreement and warranty to see if it may have contained any false statements that the vehicle met all state requirements like emissions testing at the time of sale. That's just off the top of my head. Squeaky wheel gets the grease! Hi Billy! I was so upset today when I called to find out why I was receiving a late notice. They said that emissions is 4 years past due. I bought the vehicle two years ago. If state law is that the vehicle has to go through emissions by the dealer at the time of purchase, why wasn't it done then? They responded, well just pay the fine. The fine isn't really the point to me. It's the fact that the law is the dealer cannot register the car to a purchaser unless emissions are current, but somehow they did. I cannot renew my registration due in 3 weeks now because it failed emissions. We have yet to find a place that will look at it for us because no one is open beyond 9 to 5 business hours. It's really quite a stinky situation to be in. Sorry for the rant, I'm just annoyed. Thank you kindly for commenting! Well, what are my thoughts you ask? My first thought is that it is very expensive to own a car in Connecticut. :) My second thought is that this, unfortunately, falls under the category of state law, and as such there will always be differences among the states. Until someone can link emissions to health issue, and until there is a big enough stink made by citizens over this issue, there will be some states that think this is important and some that don't. You are absolutely correct in saying this is unfair for CT citizens.